Just one week to go before the first major of the year and many peoples attention will be towards Augusta. We have produced 2 previews detailing all sorts of information including trends, stats and history surrounding The Masters, so do check them out! 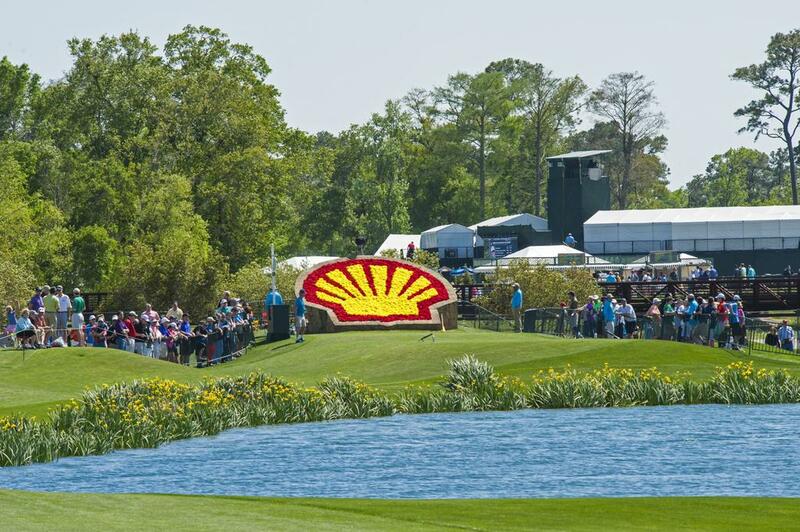 However, it would be foolish not to have a look at what will be happening in Texas for the Shell Houston Open. A pretty cracking field is assembling for one last push to get themselves ready for next week. Jordan Spieth, Henrik Stenson, Jimmy Walker, Patrick Reed, Matt Kuchar, Justin Rose, Rickie Fowler, Sergio Garcia, Louis Oosthuizen, Phil Mickelson, Bill Haas, Martin Kaymer, Keegan Bradley and Charl Schwartzel are all teeing it up and by simply listing those names, it shows this has turned out to be one of the best fields of the season so far. It’s completely understandable why so many are using this as preparation because the similarities between the Golf Club of Houston (formerly Redstone Country Club) and Augusta are there for all to see. Have a guess who sponsors this event – we’ll give you 3 guesses. Playing at 7,441 yards, the par 72 has ridiculously quick greens, with sloping run offs and large collection areas that will require some nifty scrambling, whilst the fairways are long and incredibly tight (although not half as tight as Augusta) – sound familiar? There doesn’t seem to be as much of requisite for big hitters here compared to Augusta, shifting more importance on putting. One of our winners last year, Matt Jones, came top in putting stats, whilst 8 of the top 12 finished inside the top 20 in the same category. He was also 2nd in GIR and 2nd placed Kuchar finished 1st for that category, so you can see the trend of what’s needed here. The par 5’s are ranked amongst some of the most difficult on Tour, therefore we’ve put greater emphasis on total driving and par 5 scoring stats, whilst the main stats to look out will be putting, GIR and scrambling. Be warned though, rarely will you have players considered ‘major contenders’ challenging properly the week before, unless they find themselves in the hunt going into the weekend. It’s more of a fine-tuning process, so do be careful on that front. Although on the other hand, we’ve rarely seen a field of such magnitude the week before either…. In a field where there is actually a bit of value flying around, we’ve decided to ignore it and go with this fella at 40’s. Despite his unappealing price (considering Rose is 40’s, Kaymer 66’s etc) we can’t get away from the fact he is a perfect fit for Houston. Not only does he bomb it but he finds plenty of fairways too. So then you look at his recent form – 7th Valspar, 6th Arnold Palmer, 11th last week (where he ranked 13th GIR). The guy is playing some of the best stuff in the field and he’ll take even more confidence from his performance here in 2013 where he finished 9th. And don’t be fooled by Jason’s exterior either, he possesses a deft touch around the greens – ranks 30th scrambling and 49th strokes gained-putting. This man really is a quality driver of the ball. T18 total driving and T13 ball striking tells its own story really. Again, question marks could be raised about his price but when you consider so many of the names above him in the market will be loosening up for the Masters, it’s the perfect opportunity for someone like Shawn. His 5th here last year gives us confidence but what really gets us going was his effort with the short stick in Texas last week, ranking 6th in putting. If there’s one thing we can argue at Shawn it’s his short game. So if we can suddenly marry up that putting with his ever-consistent ball striking, we could be on to something here. Now, with Augusta literally around the corner we, like you, are looking to save a few pennies and go big next week. 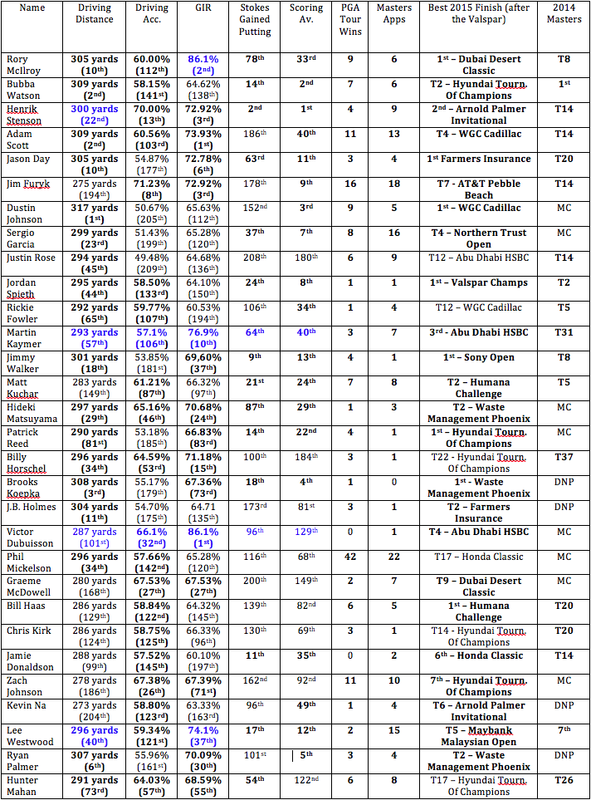 That said, we’ve done our best this week to find top players and ridiculously high odds – up step Mr Bohn. 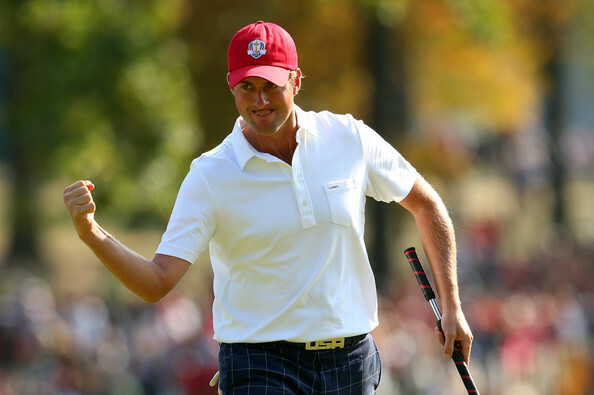 The American quite simply is a stat man’s dream – 60th ball striking, T6 hole proximity, 36th scrambling, T58th 1-putts. For this course for someone at these odds, you’re not getting better. Then you look at his course form – 19th 2004, 6th 2009 and 11th 2010. Again, on a course as tough as this that’s pretty impressive. And then to complete the package Bohn actually comes in with a bit of recent form with his 17th at the Valspar 3 weeks ago. Value pick number 2. The Swede, as we’re sure you are aware, played out of his skin at last year’s Masters. That performance showed us not just the quality he has but also his liking for tough tracks. We cannot forget that this man has 2 PGA Tour titles. So you have to wonder why he’s at this price. Quite simply, his form has been poor of late. Having started off the season like a relative train, T13 CIMB and T14 HSBC, lately things haven’t been as fruitful. But his runner-up at the Masters last year came in similar fashion off the back of 2 missed cuts. If he can get things going tee to green then 200/1 could look very healthy come the weekend. His bald nut shining in the sun is a joy to behold when he gets things going on the course. 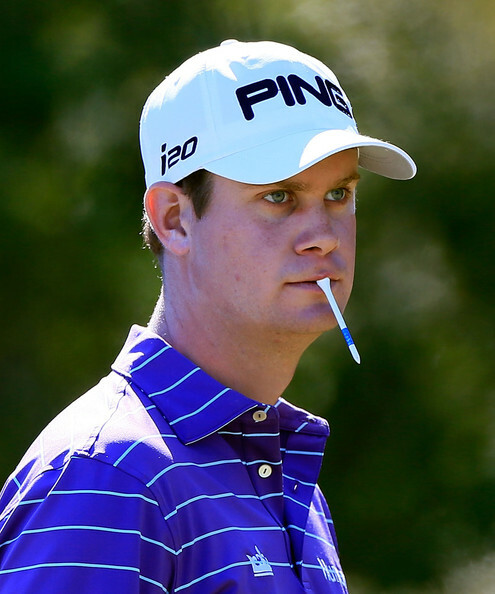 Like Blixt, the American hasn’t enjoyed an amazing 2015 but we all know he has a big finish in his locker when the time is right. He’s only played here 3 times and finished an impressive 6th in 2013 ending 3 shots off the pace – a better final round and the title could have been his. Despite his near miss, it shows he has what it takes around this track. T63 ball striking and T12 hole proximity is all we can muster up stats-wise but now aged 41, big finishes are becoming few and far between. 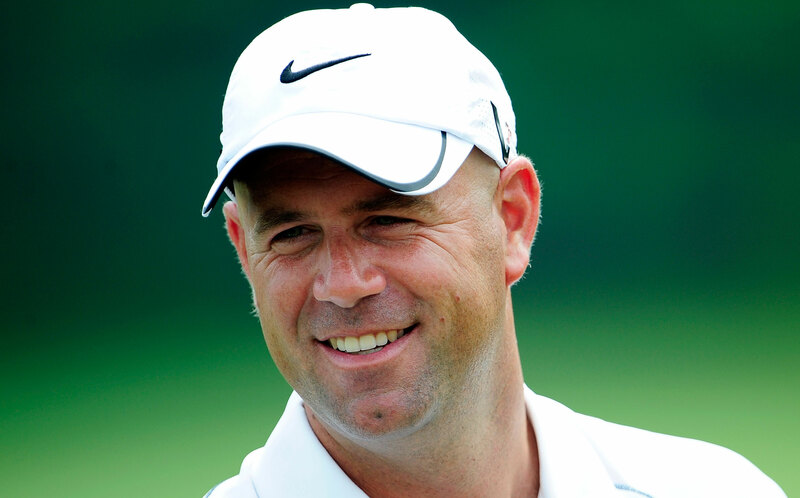 You need to pick your week wisely with Cink and if his 6 PGA titles tell us something it’s that if he is up there on Sunday afternoon he’s certainly not going to shy away. For the past 2 years we have extensively looked into the Masters, working out who is playing the sort of golf to challenge at Augusta. For this 2nd preview we’ve decided to take a mixture of the last 2 years but and produce a write-up that gives a few of our opinions but is more of a database for all of you out there to decide where your hard earned money should be going this year! One of the main reasons we’ve decided to do this is that we really feel that this years event will be one of the closest and toughest to call in recent history. There are so many top, top players in ridiculous form and with the attributes to put together a real challenge for the green jacket. Jordan Spieth – 3-time winner this season, Rory McIlroy going for a 3rd Major in a row, Bubba Watson – winner in 2015 and double Masters champion looking to retain his jacket, Jason Day finally recorded a solid victory not long ago and has a cracking record here, Dustin Johnson – WGC Cadillac champion and on his day can destroy any course, Patrick Reed – nearly a double winner this year, let alone the bundle of others in cracking form. We don’t mean to leave anyone out but we could be here for ages if we carried on! We will then take a small peak at a few of the names who stand out in multiple categories and have a closer look at their recent Masters form. Hope you enjoy the read and find it useful, please do get in touch with us if there’s any questions or something you simply want to get off your chest! Happy researching and more importantly, happy punting! – The stats highlighted in blue indicate that this stat is from the European Tour – it’s wherever that player in question has ‘played’ the most in the corresponding category. If Rory doesn’t win at Augusta in a few weeks’ time, he’ll win next year. And if he doesn’t win next year, then he’ll win it the year after. His game is perfect for that golf course. He’s going to win there. It’s only a question of when, he’s that good. Darren Clarke on Rory McIlroy in the Independent this story by Karl MacGinty in the Independent. The World number one. The man of the moment. The golfer with his sport in the palm of his hands. Rory has won the last two majors and will be looking to give himself a chance of creating history by owning all four in a row. His form has been ridiculous throughout the past 18 months – 6 wins to his name – so the fact he is at 6/1 is more than understandable. That is some feat to even dream about but he clearly has every chance because his game suits Augusta perfectly. Well, to be honest it suits most tracks, but we all saw his potential here in 2011 when he went into the final day with a 4-shot lead. The idea of him bottling from that position now is simply unthinkable. Stats: Right, so in our original trends for recent winners, McIlroy missed out in driving accuracy. He was as low as 55% for the season which is pretty poor considering how you associate him with a ridiculous game off the tee. I was never able to hit a draw, but now I can hit a draw without a problem, so that was the biggest thing. This statement makes interesting reading because the well-known ‘draw factor’ is so vital to overcome the challenge at Augusta. Martin Kaymer will surely know that the rest of his game has the perfect fitting to match this famous track, so adding a draw could be a massive help in his quest for victory. A half decent season, barring that obvious bottle in Abu Dhabi, but as a 2-time major winner, he has all the credentials. Not the greatest form here admittedly, but if that draw is working, he could really put something together this year. I would think Henrik is one of a few players who can win tournaments on ball striking alone. He’s certainly got the game. There are quite a few players who deserve to win majors, but unfortunately you have to win them. As his swing coach Pete Cowan rightly alludes to – Stenson has one of the most incredible ball striking games in the world. If he’s on it, then he can destroy any course, even Augusta. He may not have played particularly well here in terms of overall finishes, but he has shown brief rounds of ability around the notoriously difficult track. He lead for 17 holes of the first round in 2012 buy a quadruple bogey on the 18th completely ruined him and meant he could never quite recover. A slight bottle at the Arnold Palmer may deter a few, especially with his odds being cut in half, but don’t discount the big hitting Swede. Stats: In our original trends and stats method, Stenson failed to meet the requirement in putting stats, however after an outrageous performance at the Arnold Palmer, he shot right up to 2nd in strokes gained putting on the PGA Tour. This does now mean HE NOW FITS EVERY TREND of recent winners and makes him so much more backable. When you’re playing a hook it usually takes off. But that ball danced like it had a lot of backspin on it. I saw that ball hit the green, and I said, ‘Wow.’ That was something. Not only did he play the shot, but he played the shot and ended up with control at the end of the shot – which I thought was the amazing part. That will go down as one of the great shots ever played in the game. One of the great mavericks in world golf. Bubba has picked up two green jackets with his unique and bombing displays. He would be the first player since Tiger to win back to back Masters and what an achievement that would be. His season has had it’s ups and downs, but a win recent enough at the WGC HSBC will still give him confidence, along with a couple of top 10s since. Stats: Fits everything barring greens in regulation, which is incredibly surprising. A lot of his game is built around his prowess with the irons, so that might put you off. I’ve loved the way he’s refocused and rededicated himself to the game of golf. He’s playing extremely well and he’s managed his schedule extremely well coming into it. This recent crop of Aussies do seem to enjoy Augusta. 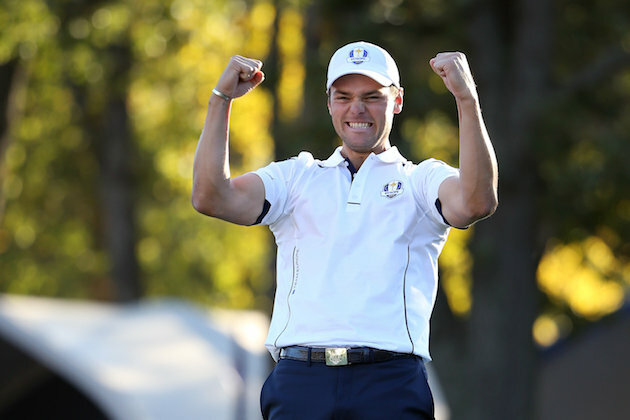 Whilst Scott won here, Leishman and have shown plenty of promise in previous years. The latter has an enviable record considering his limited time at the top of the game, but he very much a part of this new crop of young, emerging talent. A big factor with the 26-year old is that he’s bagged himself another win. 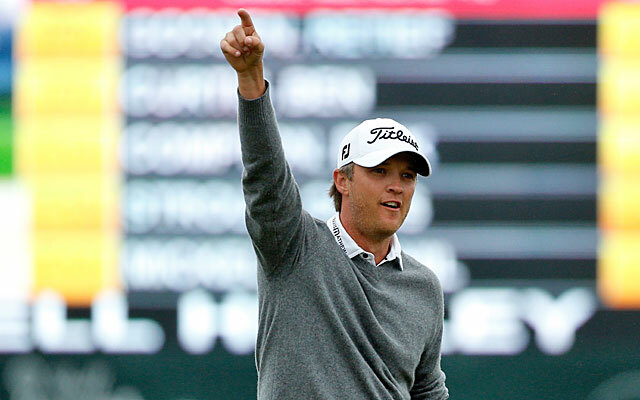 A good win as well – the Farmers Insurance Open is never an easy title to get. Stats: As you can imagine, fit everything except for driving accuracy. We’ve all seen him spray a ball into the middle of nowhere before, but he’s shown that on his day, his tee to green abilities can propel him to the top of leaderboards. A confident man who caused plenty of controversy last year with this outlandish comment. He would have upset an applecart or two after saying this, but few would have predicted his continued rise into the highest echelons of the game. Currently 15th in the world and preparing for only a 5th start in any major, Reed shouldn’t be dismissed easily. He went to University in the area and has previous knowledge of the courses as a junior and we saw for half a round last year how devastating he could be at Augusta. A win at the Hyundai and nearly a double at the Valspar shows what sort of form we’re talking about here. Stats: Misses out in two areas. He obviously missed the cut last year, but you can look past that if you consider how well he played before Amen Corner. He also fails in driving accuracy which has seemed to be his downfall at times. 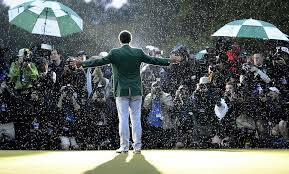 Adam Scott will have a big place in our hearts for many years after becoming our first big, big win when he wore the green jacket a couple of years ago. He has gone from strength to strength since then, recording a further 4 top 10’s in 7 major outings. He may not have won this calendar year, but his form is still consistent enough to make you really think about plumping on the Aussie. Stats: Fits everything barring putting. Completely understandable when you consider his change with the short stick recently, attempting to use the shorter putter. We are lead to believe he will use his trusted anchor version for Augusta, so don’t be surprised to see him with it. Potentially a big game changer in whether to back him or not, so keep an eye out in pressers, on twitter and general news sites. It’s clear as a bell to me, he gives you a look I’ve never seen before. It’s like a mean look, but not really mean. It’s a look of I-know-where-I’m-going. It’s not cocky. It’s confident. It’s wonderful to watch what he’s doing. The next protagonist in this new bundle of leading youngsters. After an outrageous start to his professional career, who would back against him adding his first major, especially after a superb first effort at Augusta last year – pushing Bubba the whole way. His form this season has been absolutely ridiculous and record-breaking. No one has produced more wins than the 21-year old this season (3) and he became just the fourth player since 1940 to record 2 PGA Tour victories before turning 22. With one of the most complete all-round games in world golf and a T2 finish last year, Spieth really is one of the danger men. Stats: Bizarrely, he fits everything but GIR. You would expect his approach stats would be right up there, but across the season he just misses out because of that. He just works hard, has a lot of talent, a good demeanour. I think we’re just seeing the tip of the iceberg with this guy. Some may argue that this is a surprise inclusion in our quick peak at some of the players from the stats table but just look at his results. Firstly, at the time of writing, he is right in the hunt for another win in Texas, whilst he recorded 4 victories since the beginning of last season. That’s not bad going for someone who was widely considered a journeyman! But the legendary touch of Butch Harmon has clearly galvanised the American and now a major challenge doesn’t seem far away. By far his best performance in majors came last year with 3 top 10s – his only top 10s to date – so he is clearly on the cusp. A long game that suits Augusta and form that smells of a Major champion. Stats: Right, he also fits everything barring driving accuracy and that is certainly understandable. We’ve all seen him spray a few at times, but when he is on it, his drivers are ludicrously dominant. That’s how he can win tournaments, especially with a very, very consistent game around the greens. Although at 30’s, you’ve gotta have real faith in him because there’s some top players in and around those odds that may be preferred. The one thing that’s so good about Rickie if you watch him is his mind. His mind is the best part of his game. His physical game is great, but his mind is so good. He’s gonna fight to the end, and he’s not gonna let bad swings or bad putts or whatever creep in his mind. He’s gonna just keep fighting. Bubba Watson talking about Fowler in 2010. It’s not been a good season for Rickie Fowler. By any means. He doesn’t actually fit the stats in 3 areas, which therefore seems ridiculous to even think about writing a Fowler spiel. However, he has to be thought about because of how he performed in the big events last year. 4 top 5’s prove he has all the credentials and we can’t help but think his game has the perfect hallmarks for Augusta – if it’s working properly. I think you’ve just seen the start, of what’s going to be truly one of your world’s great players over the next 10 or 15 years. Now, we backed Hideki Matsuyama at 80/1 for The Masters about 10 months ago. We thought he was going to go on and blow away all sorts of records, therefore find himself at 33’s/40’s. Whilst he hasn’t quite delivered, you can hardly say his form and performances have been poor. He won in Japan at the back end of last year and came so close at both the Waste Management and Northern Trust Open. He had a putt to get into a playoff in Phoenix and the ball brushed the hole, simply not wanting to drop, so he has shown his form. Won the leading amateur at Augusta in 2011, but hasn’t shown anything again since, which may worry a few, but his game is so consistent that you wouldn’t back against him. Stats: That missed cut here last year means he doesn’t fit everything; otherwise he would have done quite easily. Not surprising considering how talented his all-round game is, so definitely one to consider as a mid-range outsider. Clearly the surprise package of all the players who made the trends. In fact, we nearly had a heart attack. But, when you look at it deeper, you can understand. The perennial bottler who will top many peoples list as the ‘best player never to have won a major’ Lee will have to do a lot for all of us to even consider putting our money on him. Although in his last 5 outings at Augusta, his worst finish is T11 and that includes 2 inside the top 3. Ridiculous form. As for this season, he won in Thailand at the back end of last year and has a couple of top 10s in Europe. Stats: Obviously, he fits everything – including putting! He is actually 17th for strokes gained in America, which is just madness. He has still shown the odd bottle over the short putts recently, but there’s been a marked improvement. The 2010 Open champion has one of the smoothest swings in the game. Because of his injury issues and time off, people have generally completely forgotten about Louis. But do that at your peril. 5 appearances this season and 4 top 10s. The Arnold Palmer and WGC are notoriously difficult tracks and generally contain the crème de la crème, so the fact he finished strongly in both outings, shows where he’s at when he gets on the course. Famously came 2nd here in 2012 when Bubba beat him with that ridiculous shot in a playoff, so he’s shown he can do it round here. Stats: Actually fits everything barring putting. He would do if it was calculated on the European Tour though and he has shown his short stick can perform when he gets in a groove. But his game is more about the tee to green brilliance and at 66/1, you can’t help but think he’s a decent mid-ranger. Webb had such natural instincts as well as natural talent, he learned the game from the green back to the tee. He was making 30-foot putts all the time when he was 10 and 11 years old. Another major champion, but by far and away the highest odds of anyone in this list. You can find him at 150/1 with some, which is madness considering his background. Admittedly, he has never really performed here, but his overall abilities could overcome the Augusta challenge if he brings his a-game. 3 top 10s this season show that he isn’t in the worst knick and widely regarded as one of the best in and around the greens. Stats: The main reason we couldn’t help but write him down here. The only stat he doesn’t fit is the fact he missed the cut here last year. He ticks all the other boxes and has shown that he’s got the perfect game for many courses, let alone Augusta. But at such high odds, it may be worth looking into him at great length. So, we will all move on to a tournament and a course that we would easily consider one of our favourites. The Trophee Hassan II is undoubtedly one of the most unique and bizarre events of the Tour, being held in collaboration with the Moroccan Royal Family. The ‘trophy’ is actually a jewel-encrusted sword and presented to the winner by either the King himself or a relative – ludicrous. Then you come to the par 72, 6,951 yard track. It’s played on an estimated 4-10 times a year and lies within the Palace walls of the Royal Palace. So in other words it’s the Kings garden – a royal playground if you will. 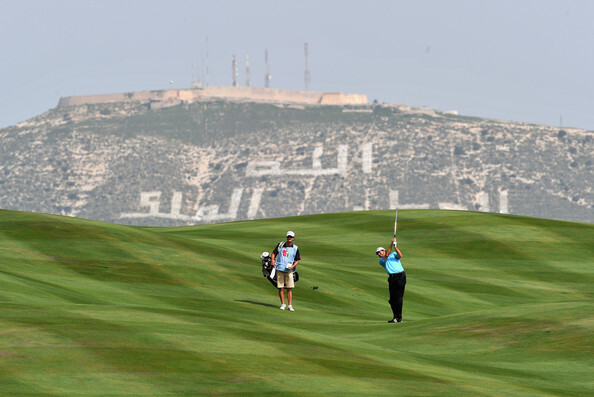 The Golf du Palais Royal is a course situated in the coastal town of Agadir, where the conditions often play a significant part in the tournaments proceedings. In the past couple of years around the holes by the sea, there has been a great deal of wind to contend with, so it’s worth keeping an eye out for players who enjoy mixing it up in difficult weather and can ultimately, play a variety of shots. A beautiful mix between a links and parkland style, legendary architect Robert Trent Jones Snr designed an absolute beauty. It is a tee-to-green haven, where the whole field must dominate with their accuracy in order to have any chance of swinging the sword come Sunday. The run-offs around the greens are some of the steepest we will see all year in Europe – when you hear the players talk about it, they cannot comprehend how difficult the slopes are so it’s just imperative you are on your game with the irons. We’re going in slightly top heavy with our picks this week but with the 2 guys we’ve chosen from the top end far outweighing the other guys in our minds; it was an easy decision to make. Firstly Frenchman Levy could quite easily be overlooked given his recent form but when you consider his last 3 appearances have been on the PGA Tour including the WGC Cadillac it’s easy to see why. 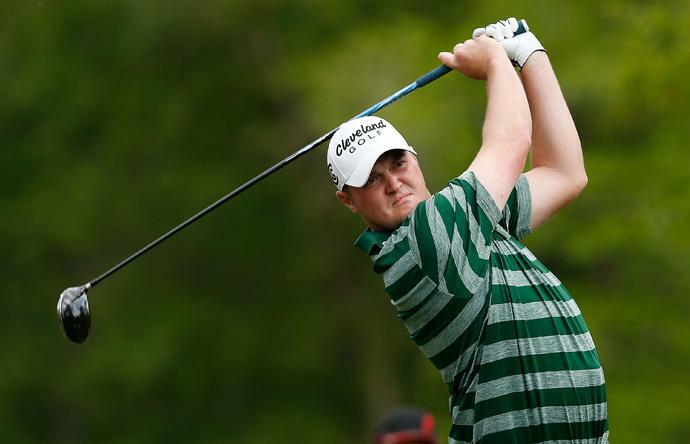 Interestingly he did rank T3 after the first day in the WGC event but was somewhat overshadowed by JB Holmes’ 62. Playing with stars Grace and Henley, Levy looked at home on the big stage. 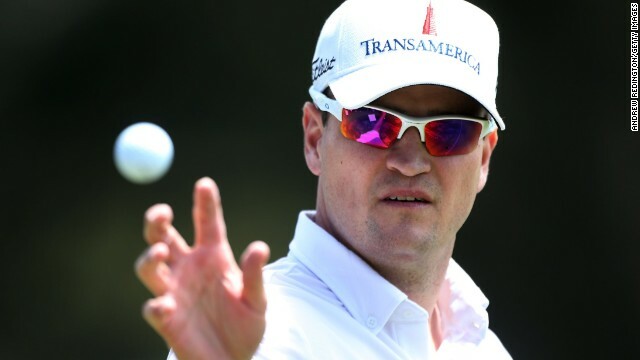 So this week a lot will be talked about regarding the chance to grab a slot at the Masters – Levy, Coetzee, Sullivan, Fleetwood and Siem all have realistic chances but with some out of form and others winding down after hot streaks you really can see Levy doing the business. The experience he has gained from America alone will be enough to put him head and shoulders quality-wise above most in the field this week. Feels somewhat like a bandwagon in many respects given his play-off defeat on the PGA Tour 3 weeks ago but we can only look at this positively. Grillo will grow into one of the best guys on the European Tour that is for sure but one worry we all have at the moment is his bottle, or lack of. His capitulation in South Africa last year will be hard to wipe from the mind. But all things considered, to go over to the PGA Tour in only his 3rd event and make the play-off is some going. Depsite losing he will only take confidence from that. What we loved more was he ranked 2nd GIR for the week against some quality players. The Argentinian has played here once in 2013 and recorded an 11th place – With the confidence he will have from his PGA Tour adventures, this could be his first foray in the European Tour winner’s circle. The Englishman is never going to enamour us whenever we go there because it’s David Howell but this week, on this course, we like him. Accuracy and a short game is what he’s all about and the run-offs around this place are a lot harsher than you may think. Deft touches and experience will go a long way. Dave has a best of 8th a couple of years ago and is in really good knick at the moment. 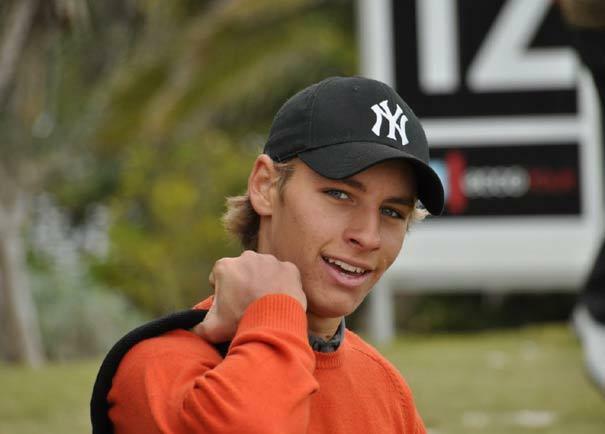 2nd back at the Joburg was impressive and despite not contending last time out, he ranked 2nd GIR. With a week off and good preparation he’ll be good to go again. If you know us and follow us regularly this one was obvious. Craig is one of our favourite players and partly down to a gorgeous display with his irons in this exact tournament 2 years ago. So we think it’s only fate that he comes to a track that is genuinely suited to him in quality form. The Scot finished T3 at the Tshwane Open on his first appearance at the course a couple of weeks ago which will give him massive confidence. He’s not the most consistent of performers so you need to catch him when he’s on it. That’s now. He ranked top 25 in all tee to green stats while he also ranked 6th in GIR in his 3rd. So his game is there and the Trophee Hassan is a tournament he knows well. Outstanding value. Spaniards are renowned for their ironplay, just think of their exports. This guys is no different. In his 3 appearances around this course he’s gradually improved going from 37th in 2012 to 11th last year. For someone who’s still finding their feet on the European Tour, course form like this is a rarity. His 3rd at the Africa Open shows he can mix it in the bigger events and also shows the knick he’s in. 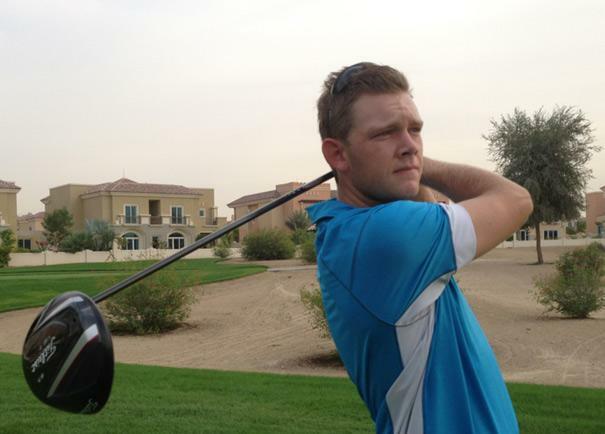 He regularly ranks at the top end of the GIR and it’s a course, like our other picks, he is suited for. 100/1 is a solid price. It’s sad to admit the Italian warrants these odds but things are going to turn around soon, he’s too good not to. Matteo has got too hooked up with looking for distance off the tee, hitting the gym and all the things that come with that. But this week is a course where you think your way around and iron players come to the fore – regardless of form, he’s still one of the best players in the world at doing that. So, why this week? On his only appearance here as an 18 year old he finished 6th. In his last outing it was his putting that let him down massively. 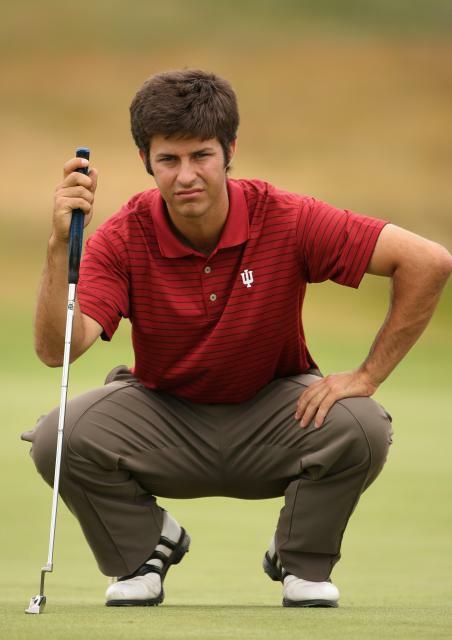 We know this guy can putt and it’s all a confidence thing. If he gets it going early on in Morocco he’ll definitely continue it. The whole golfing (and arguably sporting) world is getting that itchy excitement now as we are in the final stretch before that small matter of Augusta in a couple of weeks. Take a cheeky peak at our opening preview – MASTERS 2015 PREVIEW ONE – and keep an eye out for our 2nd preview which will be out in a couple of days and be a real in-depth look at a whole host of players. 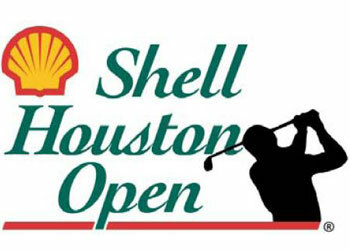 But our attentions need to be firmly fixed on the now, as we’ve got a decent field assembling for the Valero Texas Open. Like Matt Every last week, every (poor pun) player will be striving and pushing to get that win which automatically qualifies them for The Masters. That makes these next 2 PGA stops rather interesting. Others who have already qualified, tend to use this as a ritual practice ground and prep for Augusta and will never truly exert themselves unless they’ve found themselves with a sniff for a win. 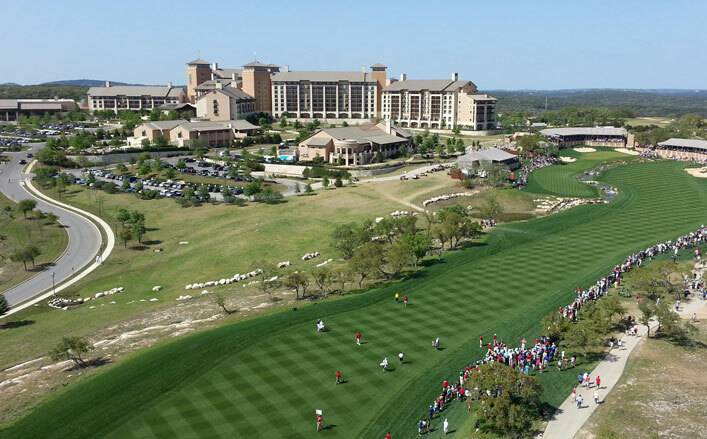 The Oaks Course at TPC San Antonio is usually quite a difficult track and birdies are hard to come by. The 7,435 yard par 72 has sever undulation amongst the narrow fairways and proper pot-hole bunkers dotted around the course – remarkably some as deep as 12-foot……! The tree-lined fairways look like a daunting prospect when teeing it up and it will be crucial to find the short cuts more often than not because the approaches are notoriously difficult. Last year Steven Bowditch won by the skin of his teeth as he sprayed it everywhere on the final day, but his tee-to-green exploits on the opening 3 rounds saved him. It did mean his driving accuracy stat don’t quite tell the whole story BUT just take a look at the closest challengers – 3 of the top 4 were inside the top 10 for driving accuracy. 7 of the top 10 were also inside the top 20 for putting stats as well, so it will be crucial to take a look at how everyone is playing with the short stick. Those who can keep the ball in play more regularly than not, scramble when necessary, know how to hit out of the sand and putt out their skin will find themselves right in the mix. He’s the only guy who takes our fancy below the 40 mark and it’s easy to see why – 4 appearances here, 2 wins and a 6th place. San Antonio is made for him where accuracy and a solid short game is king. Since his purple patch at the beginning of 2014 Zach hasn’t featured as much as he would like but with a 9th and 10th in his last 4 starts, he’s getting back to his best. We also have to look at the courses in recent weeks and the importance on driving distance, not something we would associate the American. We’re always going to have a soft spot for the Aussie after he bagged a big win for us last year at 125/1. Like so many, Jones is a hot and cold sort of player and right now he’s at boiling point. 3rd last week at the Arnold Palmer and then T7 and T14 at Pebble Beach and the Northern Trust respectively is some of the best form in the field this week. Like Zach, his game was firing on all cylinders last week – 5th driving accuracy, 27th GIR and 5th putting. We often associate Jones with proficiency tee to green but for the 2015 season he ranks 46th scrambling, 30th sand saves and 24th strokes gained-putting. San Antonio will be a test for anyone’s short game and we know this guy will be more than a match. More of a stats based pick this one but easily justified. 2nd last year, 6th 3 weeks ago, all over this season’s stats – 28th driving accuracy, 12th strokes gained: tee to green, 64th sand saves, 24th ball striking, 3rd proximity to the hole. 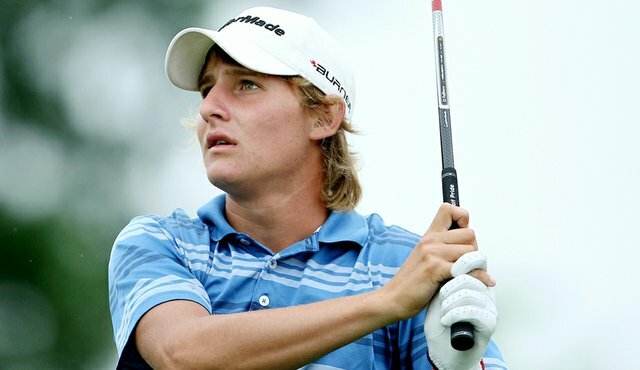 After a year on the Web.com in 2013, last year saw MacKenzie’s return to the big time and T2 here at the Texas Open was the best finish of his career since his one and only win at the Viking Classic in 2008. And it’s taken him to a new level with his 2nd career major appearance at the PGA and play-off defeat in this season’s McGladrey Classic. 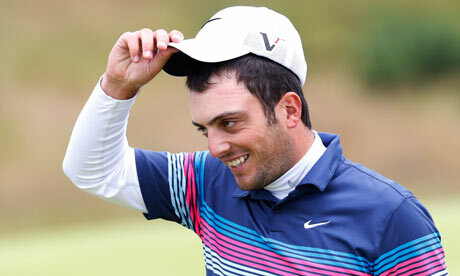 The Italian is almost our most fancied pick across both tours this week all things considered. 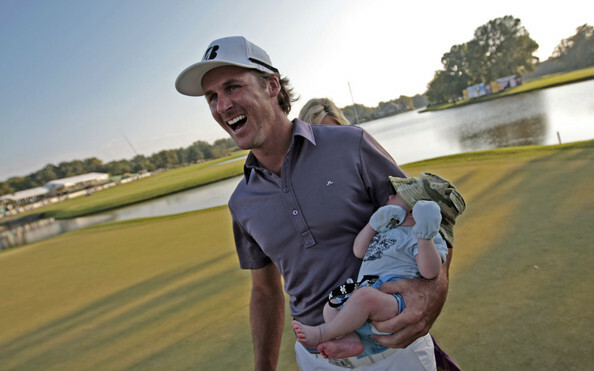 Sitting 63rd in the world, Francesco needs a 3rd or better to get down Magnolia Lane. Having played in the Masters for the last 5 years it will be a bitter blow and reality check if he were not to make this year’s. So he more than anyone will be doing what he can do finish well in Texas. But this alone isn’t enough. What’s he been doing recently? A couple of top 20’s in recent times including 17th last week but it’s when you dig deeper that makes us think San Antonio could be perfect for his game. On the tour this year he ranks 1st driving accuracy, 33rd scrambling, 43rd GIR (1st at the Arnold Palmer last week) and 58th strokes gained-putting. His accuracy off the tee alone is stuff only certain players could dream of. At 100/1 on a course suited to his game and with so much at stake it’s an honour to be putting our money on this guy. Couple of value picks for you. Firstly Wilson, horses for courses quite simply. 3rd 2005, 2nd 2008, 11th 2009. 2014 was undeniably a struggle for the American having played the full 4 rounds in just 7 events! So looking at this season (T8 McGladrey and T9 Sanderson Farms) he’s clearly got things going again. Last time out he found a T24 at the Valspar off the back of 2 missed cuts and ranked T10 in both driving accuracy and GIR. The Dukester finishes off this week’s picks. Pure and simple these courses are what he lives for, besides his family. T4 at the McGladrey and T9 out in Malaysia have been the highlights of his season so far but with the length of the courses in recent weeks it’s clear to see why he hasn’t been up there. Stats-wise he never fails – 16th driving accuracy, 28th strokes gained-putting, 59th scrambling. It’s safe to say the South African swing Part 2 hasn’t been kind to us as we’ve seen plenty of money sink into the pockets of the British bookmakers. But with Coetzee, Sullivan and Lahiri winning over the past month there’s not exactly been a lot of value flying around. There’s also no denying this time of the year has never been the kindest to us. All eyes will be across the pond as a tasty field rocks up at Bay Hill for a Tiger Woods-less Arnold Palmer Invitational. For us Europeans, it means we are left with a co-sanctioned event in Portugal bereft of any quality. The event has been pushed forward a couple of months from it’s usual slot in May. When you look through the form guides and watch as much golf as we do, most of these guys are still pretty familiar and are often popping up on leaderboards across the globe. We’re hoping the Tour’s arrival back in Europe will give us much-needed profitable week in the build up to the Masters. 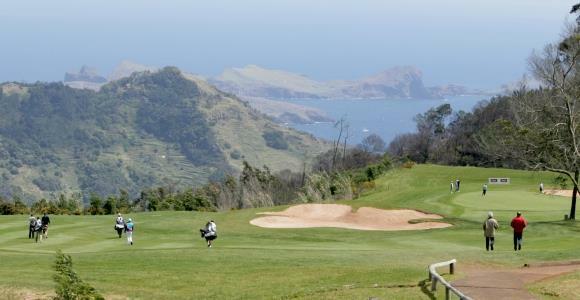 Despite lack of obvious names in the field the tournament has been around for some time and the Santo de Serra GC has been the host for the majority of that time. At 6,800 yards, it’s a short one that ultimately the bombers can dominate on. You only have to look back to 2013 when the big-hitting Peter Uihlein (who only found 40% fairways) grabbed his maiden win here. The likes of Madsen, Henry, Benson are names just at first glance who have enjoyed success here and are certainly not shy off the tee. Recent weeks, especially in South Africa, has seen importance placed on course form but that certainly isn’t the case here. 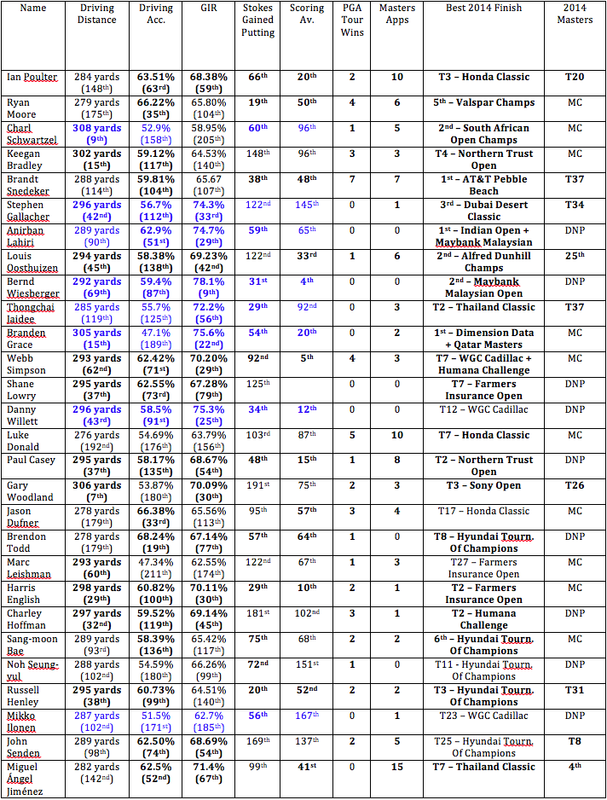 Here’s how a few first timers have fared in the past 3 years – Uihlein (won), Lagegren (4th), Davies (5th), Harto (3rd). Last year’s event was somewhat of a non-starter having been reduced to 36 holes with horrendous fog over the first 2 days. Englishman Daniel Brooks, not exactly a household name, took home the title having overcome the death of his caddie during the week. Ultimately those 2 days won’t prove to be a good indicator. To think JB is our number 1 pick going into an official European Tour event does make us feel rather queasy. 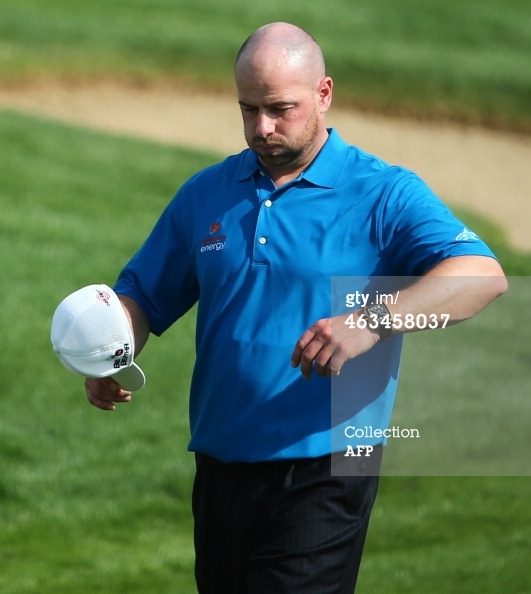 But with the lack of names teeing off Thursday morning, it’s guys like this man who really stand a chance. Quite simply, he’s one of the most proven players in this field. 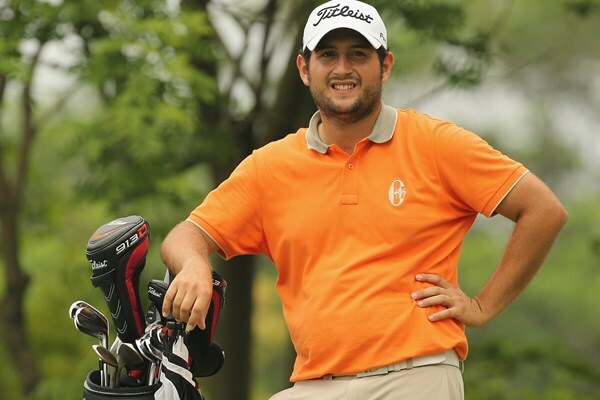 He hits it far and despite his only performance in 2015 being a T37 – he shot a 65 on day 1 including a back-nine 28! He ranked 9th driving distance and 2nd putts per round. He’s ready for this one. Again, you can see our thinking with this one. The Spaniard loves to tank a ball off the tee and although he’s crept perilously close to the top of the betting market – we’re still happy to be going there. It was his T7 at the Thailand Classic that’s been his standout this season. 15th driving distance, to be expected, and 6th GIR. 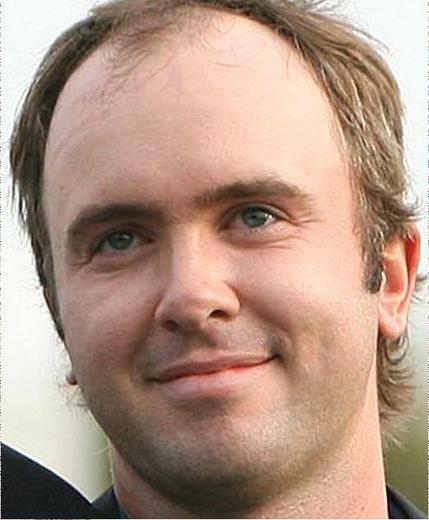 He continued his play to India where, despite being T24, ranked 1st driving distance and 9th putts per round. Now obviously stats aren’t everything but we know this course needs distance off the tee and Pigem has it in abundance. Our 3rd pick at 33/1 but also the penultimate one. Again, the Swede always pokes his nose around in European Tour events and will regard himself as one of the top performers in the field. Added to his quality is a 4th on this track three years ago. 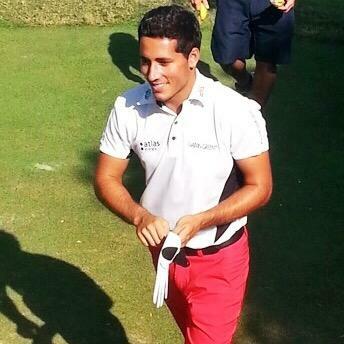 And he comes to Portugal as one of the form guys – 13th at the Africa Open, 3rd Hero India Open. 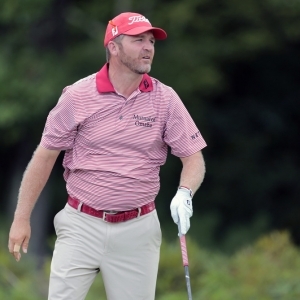 Despite a low key performance at the Tshwane, he was bashing it 315 yards off the tee. Should certainly get himself in the thick of it this week. We went with the Englishman a few weeks ago in a much more prestigous event – so it’s only fair we give him another crack of the whip with these odds in this field. We can’t deny Evans is a hardly a household name for us but when you look at what he was doing back at the Indian Open, you have to be impressed. 7th driving accuracy, 2nd driving distance and 7th GIR. 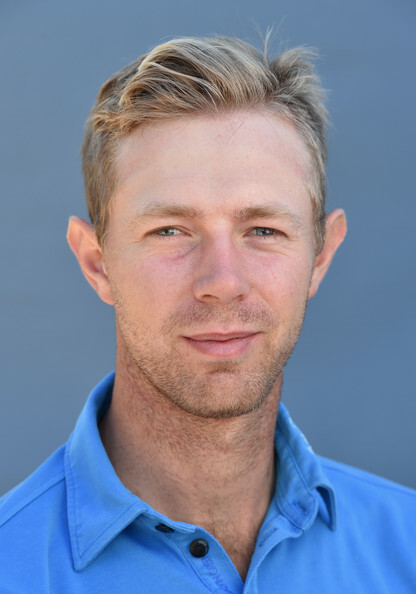 He’s been a Challenge Tour stalwart for some time now which makes his T12 in India all the more impressive. Still not convinced? He finished 10th here 7 years ago as a 21-year-old. We’ll have a bit of that. We are pushing ever closer to the first major of the year and the excitement is building steadily. The field for PGA Tour events, as is usual at this stage of the season, are consistently of the highest quality. What most intrigues us though, is how in-form so many of the top players are at the moment; making it a salivating thought to the riches of Augusta. Jordan Spieth won in a playoff last week, defeating Patrick Reed, whilst Jason Day, Bubba Watson, Rory McIlroy et al have been winners in 2015. And we are sure there will be a winner of similar ilk in one of the oldest and most famous events in the States this week – The Arnold Palmer Invitational. The field assembled matches that of previous weeks with Rory, Bubba, Henrik Stenson, Adam Scott, Day, Rickie Fowler and many more teeing it up at the famous Bay Hill Club and Lodge. Formerly the ‘Bay Hill Invitational’ was founded in 1979 and is widely regarded as one of Arnie’s all-time favourites, hence the name change by the now owner in 2007. With it being the anchor leg of this Florida-Swing, form across the last few weeks definitely should be looked at. Similar, tricky and demanding layouts haunt the fields in Florida and it will be no different over the coming days. Bay Hill measures in at 7,419 yards after its redesign in 2009 and the Par 72 has consistently ranked amongst the most difficult ‘2nd shot’ courses – with GIR percentages at their lowest compared to the rest of the season. We have said it so often over the past couple of months that the 3 words make us feel slightly queazy, but tee-to-green importance is absolutely paramount. Take a sneaky peak at the Total Driving and Ball Striking categories, because the guys at the top of them will most likely be at the top of the leaderboard come Sunday. Good course management with the ability to control your shots will be a big factor, whilst it’s undeniable that skills in and around the greens could make a massive difference to your score. Because you will miss at least 25-30% of greens, scrambling will play a part, simply to save that vital par or to just consider the damage limitations. -10 is the average winning score in recent years, but Tiger Woods has pretty much dominated here with eight wins since 2000. Ludicrous. Obviously he’s decided not to accept his invitation, so it’s down to the rest to overhaul defending champion Matt Every. We will often mutter the words ‘last chance saloon’ with certain players and considering our poor form recently, it’s understandably going to crop up here and there because we keep getting let down. English completely reversed that horrendous running theme last week, finishing with a wonderful 65, climbing right up to a T10 finish. Yes, that still means no returns for us, but it does show that his game is on. We had similar thoughts in our preview for the Valspar about where he is at the moment and that hasn’t changed, only enhanced after his performance. We’re confident that a tad more consistency in the middle 2 rounds would have guaranteed a challenge for the trophy. But he seems to like these tough tracks (playoff defeat at the Farmers Insurance) and the simple answer is because he’s got that sorta game. 18th in total driving and 13th in ball striking prove his tee-to-green abilities. You will be hard pressed to find a better striker of the ball and when he’s on it, he is so consistent. We really like the fact he’s 20th in scrambling and 39th in strokes gained putting as well, because that equals the perfect all-round game for this track and a strong contender. Plus, he managed to finish in a tie for 14th last year, which should give him plenty of confidence and we’re hoping he can better that in 2015. A US Open champion. That should say it all really for what type of player Webb Simpson is and in short, it pretty much does. The ideal tee-to-green stalwart, who prides himself on an outrageously consistent all-round game with wonderful putting abilities. We are sure he’s going under the radar slightly at the moment, understandably so in some respects, but 4 finishes inside the top 13 in his 6 starts this season proves where he’s at right now. We were impressed with his T7 finish last time out at the WGC, although there would have been obvious disappointment in a +1 Sunday finale. He was 35th in both driving accuracy and putting for that week, whilst T12 for GIR, so his game is there or there abouts. But he’ll be coming onto a track that should suit his style and where he’s managed to find a T11 in the past. 22nd in total driving, 13th in ball striking, 16th scrambling and 7th strokes gained putting put the icing on top of the cake and should prove how worthy a bet the American is. A hunch. 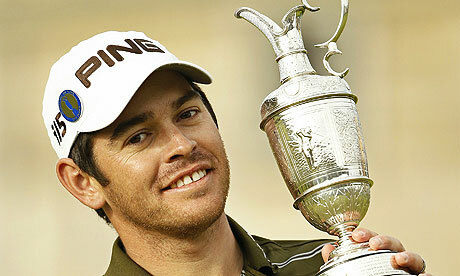 If there was ever a bet that defined the word gamble, it would be us and going with Louis Oosthuizen this week. We have actually plumped for him a couple of times this season, but both times he’s bloody withdrawn for one reason or another. BUT he has played a couple of weeks in a row now for the first time in ages, so he will finally be fully fit and raring to go. Yes last week he missed the cut at the Valspar, but at the WGC he scrambled his way to 6th and that is where our extra confidence is coming from. He was 10th for driving distance, 30th for driving accuracy, T23 for GIR and 6th in putting average. That is one of the most consistent tournaments golf you will see, so we just feel that he could come here and prove what sort of a top player he is. You can’t forget the fact he’s a major champion and tee to green he is sublime when it’s all working properly. As we said before, it’s a proper gamble but at 80s, with the sort of calibre we’re talking here, it’s 100% worth it. Martin Laird is currently 51st in the world rankings and agonizingly close to scraping into the Masters. His publicly declared goal in the coming weeks is to get an invite to Augusta and when you look at his recent form, he probably deserves a place. T33 last week at the Valspar after a spirited -3 fightback on Sunday to salvage a respectable T33 finish. Preceding that he managed a T5 at the Waste Management Phoenix and a T15 at the Humana, but the biggest intrigue for use was his T7 at the Farmers Insurance Open. A really testing course, so to shoot 3 rounds in the 60s is impressive and was it not for a horror show 76 on the Saturday, he could have easily challenged for the title. Interestingly, he has been in this situation twice before – desperately close to The Masters and needing to qualify. In 2011 he won this very event by a stroke, whilst in 2013 he outplayed the field at the Valero to get his invite. Very impressive balls of steel from the Scot who hasn’t managed to fully reproduce that winning formula here since, but we have a sneaky feeling he is ready to burst through again. 54th for total driving, 17th for ball striking, 11th for scrambling and 69th for strokes gained putting. Great outside shout. Justin Thomas has been in and out of form this season, but right at the back end of 2014 and sneaking into this year, he showed some consistency with really positive performances. 3 top 10s in 5 outings, with a T23 and T17 filling the gap and that is some effort. He deserved more with that T17 in Phoenix though, he just struggled on the final day. But in and around that there are some average performances and he has seemed to struggle slightly in Florida, which may worry, but we are looking past that because he came back strongly at the Valspar last week with a T10. He was 13th for driving distance, T55 for driving accuracy, T18 for GIR and 10th in putting. That would give anyone some confidence ahead of a maiden trip to Bay Hill, but factor in that he’s 54th for scrambling on Tour, then you’ve got another interesting outsider. 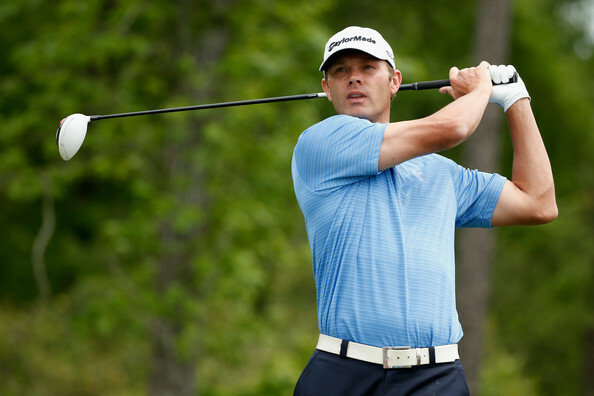 We feel that Shawn Stefani is a slight enigma. When we’ve seen him challenging, he’s one of the most eye-catching and brutal players in the game. Destructively straight and long, with a genuine ability to attack flags on the approach. Tee to green, you couldn’t argue for a better outsider and these are the sort of weeks where you can’t help but be overawed by his prospects. With the length of the track and penalties for going array, his driving is a perfect fit – 14th in total driving tells the story and he has the undeniable ability to find greens – 4th in ball striking (which is 7th GIR by the way…) so when you look at the fact he finished T17 last week, you got to think he has a chance. His putting let him down really, because he was 18th for distance, 19th for accuracy and T3 for GIR – by far the most consistent stats tee to green. So if he gets it all going then there is no doubt that Stefani is a player that can challenge the best – remember him going head to head with Justin Rose in a playoff at the notoriously difficult Congressional last year? Same sort of track, same sort of layout, same sort of distance, same sort of difficulty. Here we go again. The one every golfing lover looks forward to. The one that captures the imagination of those sporting fans who ‘don’t mind golf.’ The one that makes a superstar from a field of stars. 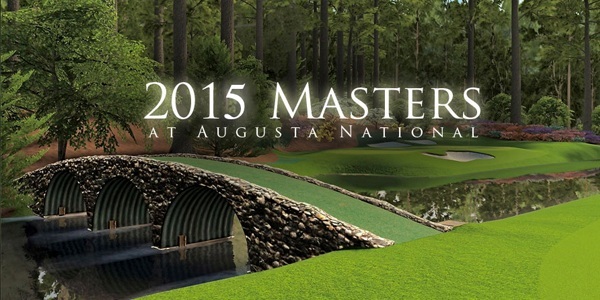 This is the 2015 Masters. For those that have followed us over the past few years, you will know that we like to preview the Majors once or twice before our ‘main’ preview with finalised selections. This year will be no different and we begin with this naughty treat looking at the trends and historic stats at Augusta. Obviously, the field has not been officially finished, but we do know the majority as it stands, so we’ve grabbed all those players and whittled them down those that don’t meet the criteria to see who we’re left with. The players listed below the bolded trend or stat, are the guys that have failed to achieve whatever is being said and after our research, we were left with 3 golfers. One of them is relatively obvious, whilst 2 are complete shocks to us and will probably be to you. Looking at those guys, it clearly shows you will get someone who gives you a run for your money. Last year, all these guys barring DJ had one round that cost them, but were in the mix. Obviously 2013 says it all. So that shows the magic list of players and we have been left with 3 guys. We will be updating this post over the coming days to write a full description in regards to these 3 players, the guys that came close and a full description of the entire field. Third year in a row the Australian has made it through these trends and who would deny him another fight for the jacket? Change of putter yes, but his stats at Doral on the greens were ridiculous. He has since gone on to miss his first cut in 45 starts (a current record) and was 141st out of 144 for putting. A real mixture. On paper it seems a massive surprise. But when you properly look at it, you can’t deny that he has been playing some good golf. We will all remember that horrific collapse from a 10-shot lead in Abu Dhabi, but the German is still an absolute monster on his day. He’s number 12 in the world for a reason. He is the reigning US Open champion for starters and during that week shone through as someone who can completely charge away if his game is on. So, that is all for now, but do check back across the coming week to see our 2nd preview, which will be a complete, in depth look at the whole field and what trends/stats they fit!